The iPad support is not available yet. 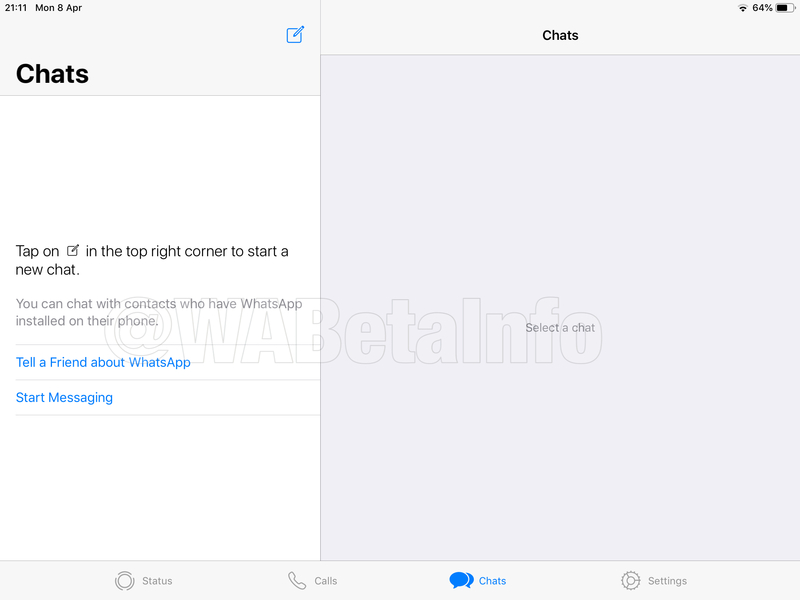 WhatsApp is working on the iPad support since a few weeks, adding a lot of improvements. For this reason it’s ok if you try to search “WhatsApp” on the App Store from your iPad and you don’t see results or you see that the app is not compatible. The support might be available in the next beta updates on TestFlight. 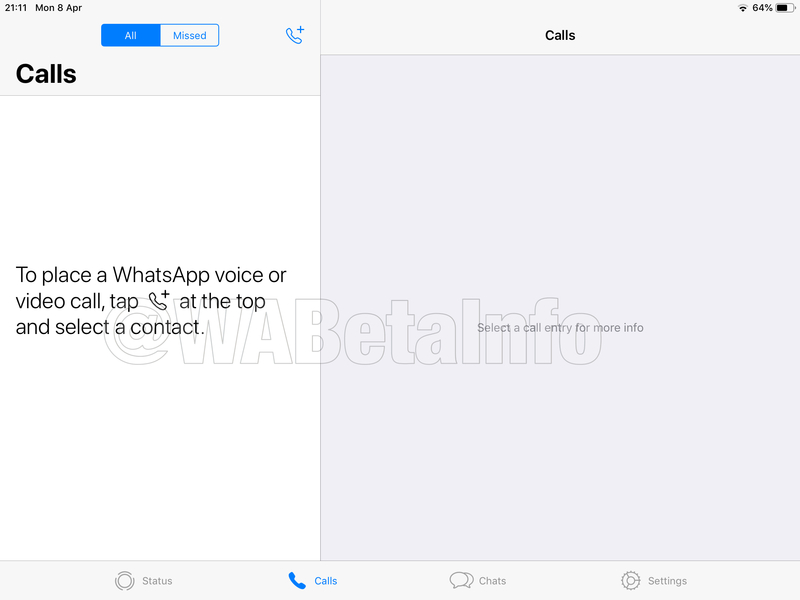 If you want to join the WhatsApp Messenger beta program on TestFlight (but the beta program is full), you can consider to join my Discord Server, in order to receive push notifications when slots are available, or check out my TestFlight page every day. We are happy to be the first to announce that WhatsApp is finally working on a real iPad support! But how can we use the iPad app? As mentioned in our Important Notice, the app is not available yet and the compatibility will be added in future (for all iPad models! ), but we got our hands on the exclusive iPad app for you! 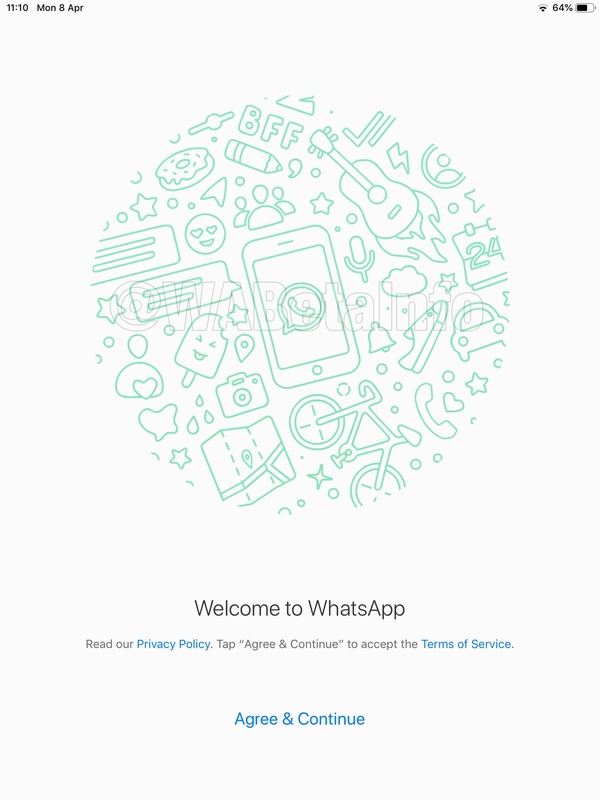 After installing the iPad app, we can open WhatsApp, and the usual log in screen is presented. 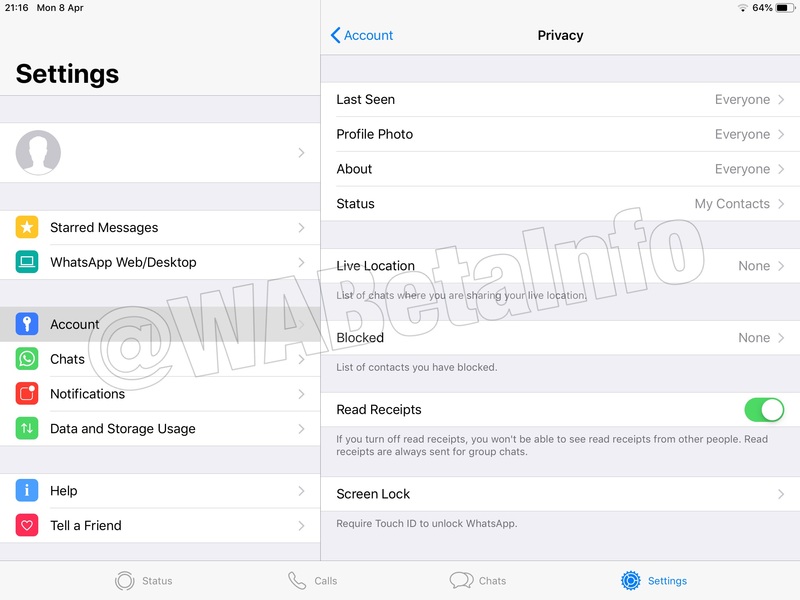 After registering our account on WhatsApp (using a different phone number), WhatsApp for iPad is ready to be used. 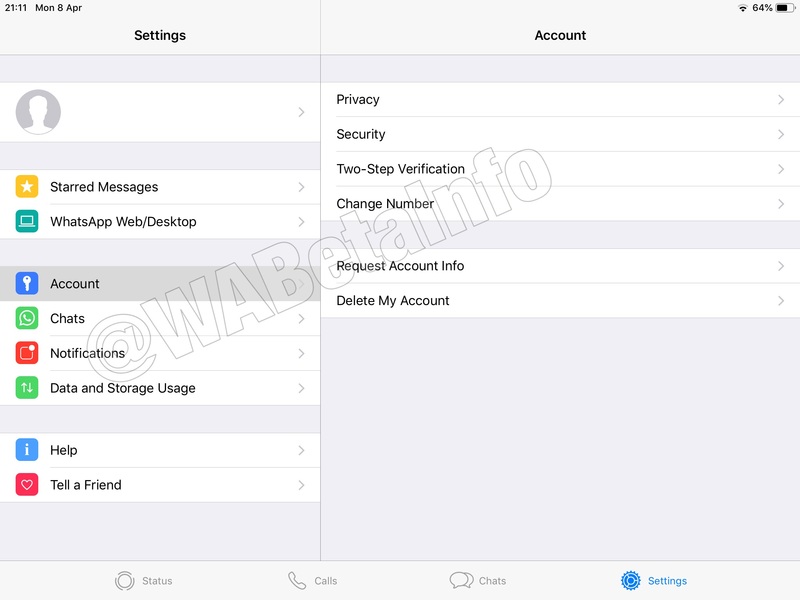 WhatsApp for iPad has exactly the same features of the main app, but with an iPad UI compatibility. 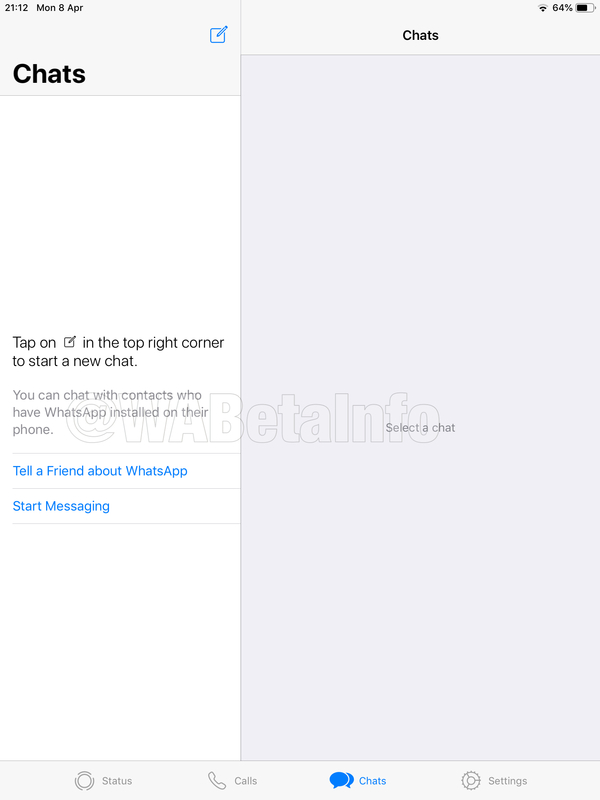 Using this new UI, very similar to Facebook Messenger, the user can chat and give a look to other chats at the same time. 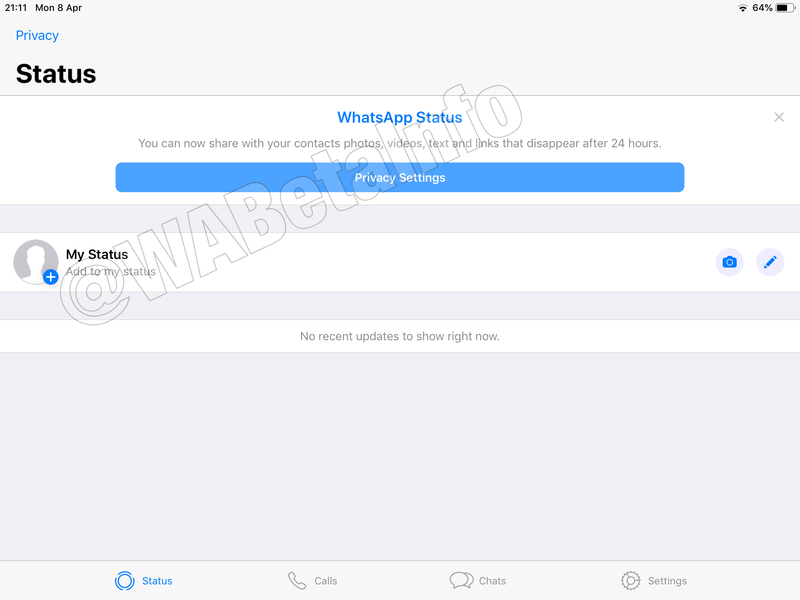 WhatsApp for iPad supports the same features implemented in the main app for iPhone: this is because the support will be included in the iPhone app. 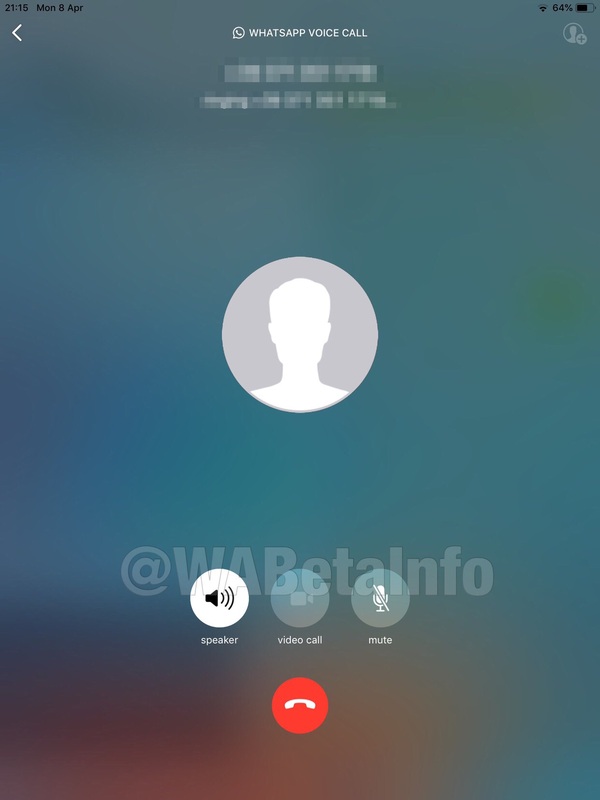 For example, I show here the support for Voice Calls and Touch ID, but all features are supported, really! The only difference is that the Camera tab is just available in the iPhone app. We don’t know yet when WhatsApp is going to release the iPad compatibility update for everyone, seen that the iPad support is still under development, but we will be happy to announce when it’s available! 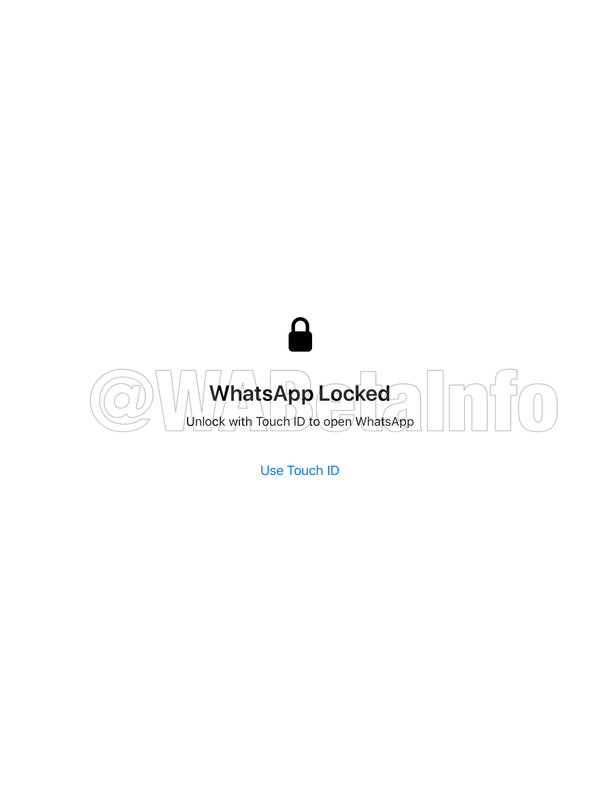 Previous PostPrevious WhatsApp beta for Android 2.19.97: what’s new? 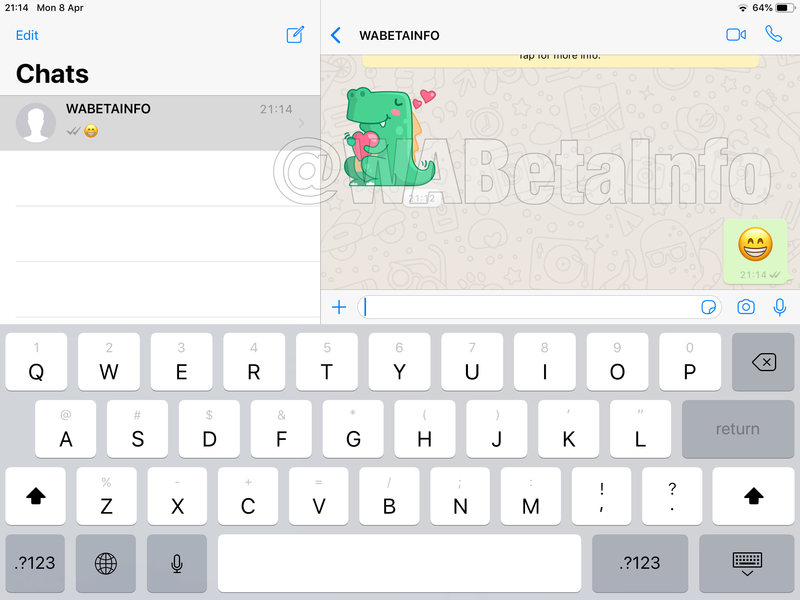 Next PostNext WhatsApp beta for Android 2.19.101: what’s new?